Buying a classic car can be quite a commitment, which often requires lengthy research to ensure your vintage vehicle doesn’t end up being a costly and burdensome heap of steel. From being able to source replacement parts to working out the costs of various modifications needed to update components, classic cars can take real effort and expertise. Timeless classics such as the Aston Martin DB6 and Porsche 911 are an eye-catching addition to any driveway but insurers will only see the risk potential, so it’s important to get all the classic car insurance facts. 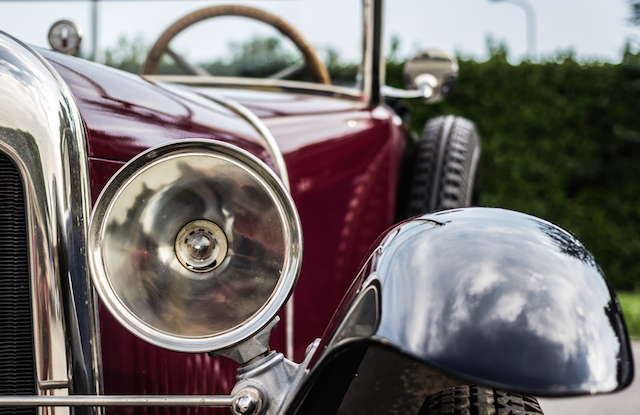 A car doesn't need to be as old as you might think to be considered a classic by insurers — some classic car insurers will cover cars from 15 years old, so your old banger might be classed as a vintage vehicle for insurance purposes! While a classic car can look and drive like a dream, some of its aspects may not be up to the demands of modern day driving, and most importantly, modern day car insurers. It’s worth assessing how authentic you’d like your classic car to be and if you’re willing to pay extra to protect its original parts, as you may not be guaranteed that cover with a standard car insurance policy. This aspect is especially important if you also see your classic car as an investment. Some vintage vehicles will increase in value over time, but that’s unlikely if the parts do not come from the original manufacturer. Getting cheap classic car insurance quotes will take some time, but if you have a good understanding of your requirements then you’re more likely to find the right deal for you. Many classic car owners tend to use their car recreationally, so if you’re not clocking up a hefty mileage or if you’re keeping it tucked away in the garage then you may consider a few options that may keep the premiums down. Some insurers will give you cheaper premiums on your classic car insurance in return for sticking to a set mileage limit. However, if you only plan to drive your classic car on special occasions then you could consider taking out temporary car insurance, but this will only cover your vehicle for the days you’ve purchased. This would mean that in the event of a fire, theft or damage, your car is less likely to be covered by your classic car insurance policy. A ‘laid up’ policy can be taken out on cars that are not being used, so you’re covered in the event of a fire, theft or damage, but this is only valid on cars being kept off the road and in a safe place. You can compare classic car insurance quotes online before you start comparing the wider market for classic car insurance, and see our top 10 tips for reducing the cost of your car insurance to see if you could save further.